Whether you’re a family of beach bums, cultural explorers or sporty snowbies, we’ve got a great getaway for your next school break. We asked some of our Hulafrog Publishers from across the country to share their favorite vacation spot for kids and their parents. 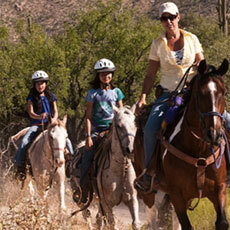 Grab your aspiring cowboys & cowgirls and saddle up for a fun adventure at this authentic dude ranch. 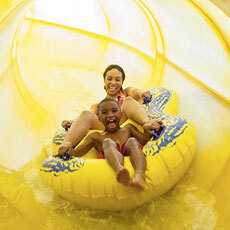 Kids activities galore, and mom & dad can be pampered at the spa or ride along with the kiddos. 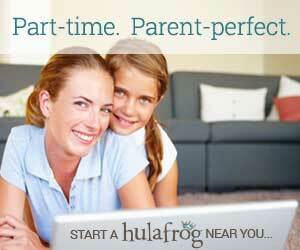 Tip: If your schedule is flexible, check out the websites “last-minute” section for great deals. 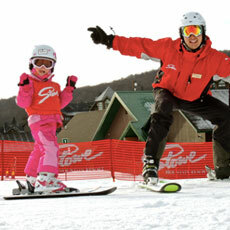 The perfect ski destination for families. It is very self-contained, so you feel comfortable letting the kids be on their own. The base village is amazing (escalators, a massive skating rink, open air sleigh rides) and the ski school is one of the best in the world. We went last year and loved this all-inclusive. 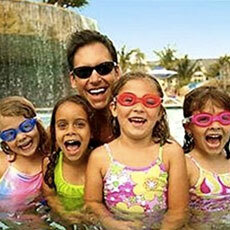 It’s 100% families: beaches, pools, water slides and so many kids activities. Be sure to make a rezzy for popular Kimonos (hibachi) & check out Soy for sushi. My kids loved diner-style Bobby Dees. Parent tip: wine selection is so-so at the resort, so stop by the duty-free shop at airport and grab a bottle or 2. Start thinking about summer vacay, because Tyler Place sells out fast. 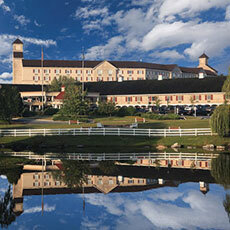 This lakeside resort is Vermont’s best kept secret! Activities for adults range from relaxing to intense and your kids will beg to stay with their fellow campers, even during mealtimes! Bring your appetite for adventure and organic, locally produced gourmet food, including the much lauded lobster night. Where do I start? 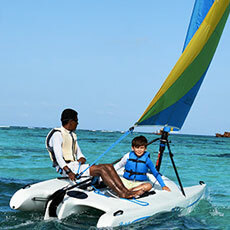 Dream of the Caribbean but little ones aren't ready for the plane ride? 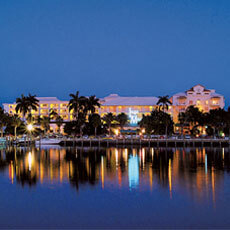 Marco Island Marriott has beautiful sunsets, turquoise water & tons of family fun: water slides, splash parks, Tiki Tribe (activities all day long), crafts, sports and a delicious restaurant with entertainment & fire dancers. Be sure to check out an everglade excursion, too! They’ve thought of everything here. Goofy Olympics, Chef Mickey’s Cooking School, fireworks, movies in the pool, characters everywhere. 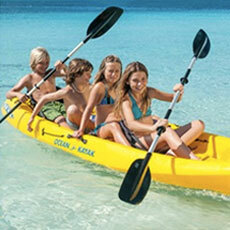 Plus parasailing, snorkeling, water sports at private island Castaway Cay. All at Disney’s high standards. Tips: don’t splurge on your cabin (you only use it for sleeping) and make reservations at Palo or Remy for dinner—it is an added charge, but children can go to the kids’ club and the meals are fantastic. We love Wisconsin Dells. An explosion of indoor water parks has turned the Dells from a summer hot spot to a year-round destination. 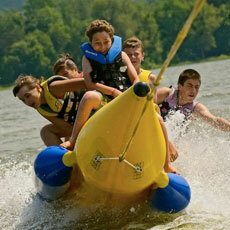 Kids love the endless supply of fun, activities & games in the area. 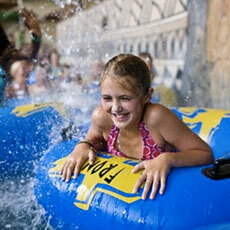 While there are many great places to stay, you can’t go wrong with the popular Kalahari Resort. 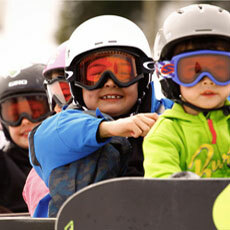 This mountain, known for its beauty and great ski conditions, is even more famous for its family-friendliness. Try staying at Stowe Mountain Lodge or Von Trapp Family Lodge (which has miles of cross country skiing) and be sure to visit the Ben & Jerry’s Factory, which offers tours & tastings, in nearby Waterbury. Wilderness Lodge is amazing. 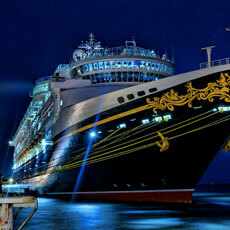 Take a watercraft to Magic Kingdom and enjoy the fun pool & kids activities during down time. 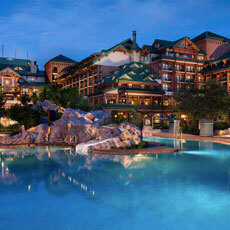 (Most Disney Resorts are worth it for the early park access and convenience.) Tips: Use an authorized Disney agent, reserve early for Chef Mickey’s, Ohana, Cinderella's Royal Table & Be Our Guest and avoid booking when Orlando and NYC area schools are on break. 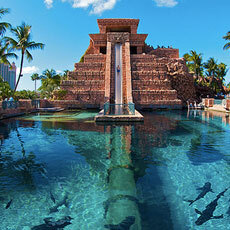 With so much to do for kids, Atlantis is like a Caribbean Disneyland. It has all the family vacay must-haves (kids’ club, babysitting, cribs), PLUS 11 amazing pools, a 141-acre water park, a dolphin cay, marine habitat with sharks, rock climbing, a tween spa, water sports galore, even a speedway for racing remote control cars. Tip: Check the website for special deals and flash sales. A perfect winter escape for families! There is so much to explore in the Sanibel-Fort Meyer’s area. Check out Lakes Regional Park, J.N. Ding Darling National Wildlife Refuge and Six Mile Cypress Slough. 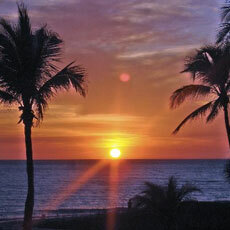 Be sure to check out the Bubble Room and take in a spectacular sunset on the beach at the Mucky Duck on Captiva. It’s true. The sweetest place on earth is even sweeter when you stay on property at the Hotel or Lodge. 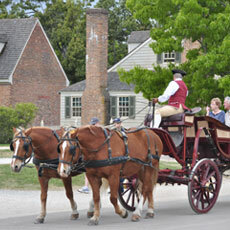 Both provide shuttle service to the park and Hershey Gardens. Kids enjoy smores every night at the lodge while mom and dad sip chocolate martinis! Definitely stop at Zoo America while you’re in Hershey. All I can say is WOW! Stay on property to take advantage of Early Morning Magic Hours. Shopping and great food all within walking distance. 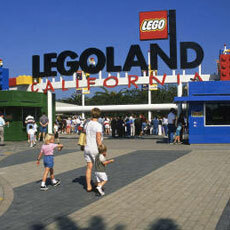 Don’t forget a FastPass! 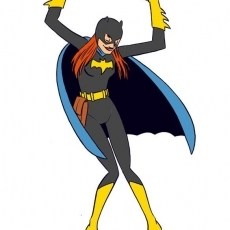 (Definite sanity saver.) Want to take a day trip? The San Diego Zoo and the magnificent sunsets in La Jolla are a short drive away. 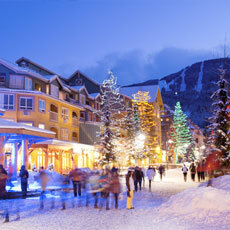 Aside from skiing and snowboarding, there’s a ton for families to do at this winter wonderland...so much that SKI Magazine ranked Whistler as the number 1 resort in North America for off-hill activities for 2015. Whistler Olympic Plaza turns into a family fun zone evenings during winter, with games, crafts, ice skating, story time, hot drinks and other entertainment for free. We love this family-friendly resort! It’s a hidden gem in Fort Lauderdale, with a gorgeous property, two beautiful pools and private white sand beach with a kids’ playground. There are casual and formal restaurants on site, and with a kitchen in your suite, you have even more meal options. We always stay at one of the hotels downtown that are connected via climate-controlled skywalks to great shops & restaurants. 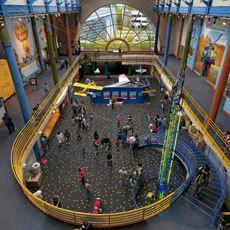 (PS: Sports Illustrated named Indy “Most Walkable Downtown in America.”) Be sure to visit the world’s largest Children’s Museum and historic Hinkle Fieldhouse for Dad (think Hoosiers) to watch a basketball game and see their super cute mascot, Trip! 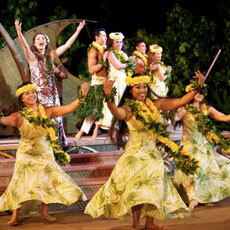 Aulani Disney is super awesome and a MUST for families at least once. 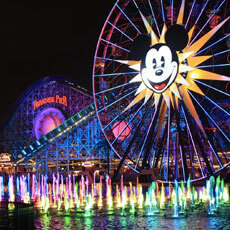 Not over-the-top Disney, but more like Hawaii with Disney sprinkles on top. We love it. Tons of kids’ activities. Be sure to pre-register for Aunty’s Beach House (kids’ club). It’s open until 9pm, so you can enjoy a dinner without the kiddos! There’s lots of “hands-on” fun here. The littlest adventurers can tread clay with brick makers. Older kids can participate in an excavation alongside archaeologists on a real dig site of an 18th century store. The whole family can hit the colonial village dressed in 18th-century garb. When you’re hungry? Make-your-own pizza at Huzzah. After dinner, go on a stroller-friendly ghost tour for revolutionary city folklore! My kids love Great Wolf Lodge for the cool cabins (bunk beds and fireplaces), water park extravaganza and Magic Quest Adventure. I love it because they never have to leave the resort and kids are happy (and tired) at end of day. Tip: sign up for their newsletter for special offers. My girls love it here! Everyone can be beach bums at this beautiful stretch of tropical paradise in Jamaica. At this all-inclusive, little ones will be in their own slice of heaven at the Sesame Street-themed kids’ club, while teens and tweens can enjoy their own lounges and activities. Tip: make your reservation for Kimonos when you get there. It fills up fast.